Jakarta, 21 May 2018 – Grab, the leading on-demand transportation and mobile payments platform in Southeast Asia, today announced new safety measures further strengthen safety in Indonesia. As part of these efforts, Grab introduced a one-touch SOS button in the passenger app that will now be available for all passengers in Indonesia. The feature is the first of its kind in Indonesia. Grab also introduces its newest Know Your Driver-Partners (KYP) policy to ensure the validity of driver-partners supporting documents as well as their vehicle requirement. Both SOS button and KYP policy are part of the expanding measures upon Grab’s stringent safety initiatives, which the company has championed from its inception. Throughout the years, Grab has conducted various programs to increase passenger and driver partner safety, including defensive driving training for GrabBike driver-partners and safety culling via machine learning. These safety programs are becoming more important as road traffic accidents are the only non-health related cause of death in the top 20 list. The results of the programs are reflected in the declining number of fatal incidents on the Grab platform. In 2017 Grab’s fatal incident rate decreased significantly from 0.56 per 100k active users in 2015 to 0.11 in 2017. This is much lower than our national of 16.64 per 100,000 of population. Moreover, even when including incidents of all natures such as minor traffic accidents, Grab only records 2.95 of incidents per 1 million rides, cementing it as one of the safest modes of transportation in Indonesia. In addition, “Passenger safety is our utmost priority. We are excited to roll out the first SOS button for passengers and the new KYP policy to add to our existing suite of preventive safety measures. The SOS button specifically is an example of how we can continue to improve passenger safety in a simple way: tap twice and your location is automatically shared with friends or family members.” Ridzki continued. In addition to the new SOS button feature, Grab is also the only ride-hailing company that strictly enforce the KYP principle for its GrabCar driver-partners in order to improve the safety aspect of passengers. Through this KYP process Grab checks physical documents (KTP, SIM, STNK and SKCK) and meets driver-partners directly. Grab also checks the condition of driver-partners’s vehicle. The new process is currently being enforced in 7 major cities in Indonesia while other cities will follow. With the new SOS button feature, passenger’s emergency contacts will receive a text message sent by Grab with an instruction to call the passenger immediately or contact nearby authorities based on the ‘Share My Ride’ link that is also automatically shared through the text message. This text message will be sent automatically when the passengers push the SOS button or when an unusual ride is detected by Grab’s system. For more information about the new SOS button feature, please visit https://grb.to/tomboldarurat. 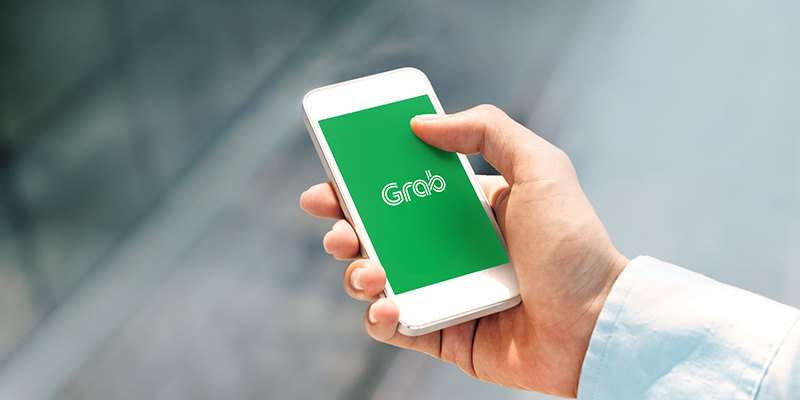 Grab is also taking a direct action to increase passengers and driver-partners safety through its sophisticated telematics data and safety measures technology. Grab collects telematics data during a valid Grab trip and records events such as harsh braking, acceleration and speeding. Grab uses this data to strengthen the way we review and provide feedback to our drivers. This resulted in 35% of reduction in speeding of our GrabBike driver-partners. Grab has an end-to-end safety programme, from daily operations to driver training to technology features, to ensure that both Grab driver-partners and passengers are best protected throughout their journey. This includes driver and vehicle screenings, mandatory defensive riding training for GrabBike drivers, free personal accident insurance coverage for all driver-partners and passengers and in-app safety features, such as ‘Share My Ride’, Help Center’s feature to report any safety related issue and showing driver-partners’ profile information (number plate, picture and name) upfront in the app. For more information about Grab’s safety features, https://www.grab.com/id/en/safety/. “Ride hailing has been an integral part of Indonesians’ daily lives and we hope these new safety feature and policy can increase their experience in riding with us. As safety is a joint community effort, we also encourage the industry to keep raising the bar for passenger, driver and road safety, whilst contributing to the overall development of the transport industry and infrastructure.” Ridzki concluded.